rather extensive story with lot of development pics, and sketches, alternatives designs for the Ford Mondeo/Contour of 1993. What a great article. I like 4C and 4H better than what they actually built. I'd have guessed it was late 70s. They do seem different - probably US compatible - but the pic ios clearly retouched (as tehy did back in the day before photo shop), so we don#t know how the prototype really looked. I do know that Giurgiaro initially wanted square headlights with slim vertical indicators next to them (think Mk. 1 Lancia Delta, also a Giurgiaro design), but VW opted for round lights (that could be shared across teh line up) for cost reasons, also ultimately abandoning the vertical indicators next to the round headlights (as visible in the sketch) for those in the bumpers, again parts bin units instead of bespoke ones for cost reasons. Remember, the Golf was a hit or miss model, with VW being in quite bad financial situation back then (after the Auto Union take over and keeping the rear engine models around way too long), and if it hadn't succeeded, well, they wouldn't have survived probably. So it was developed on a budget, and produced on one too (early Golfs had their door trim made of card board with vinyl on them e.g. 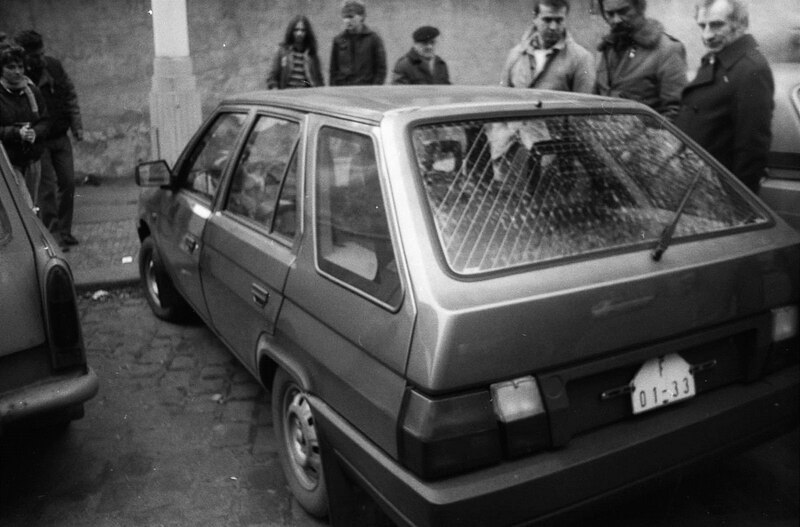 before opting for more durable materials, and had rusted away as quick or quicker (if that is possible) than an Alfasud. Also interesting, I read that whilst giurgiaro was initially unhappy with the changes on his design, he actually prefers the round headlights nowadays.